Megan was born and raised in Cheboygan, MI on Mullett Lake. The youngest of six children, Megan has always had a passion for the water and the love of being active. She pursued her interest for living a healthy lifestyle at Central Michigan University, receiving a Bachelor of Science degree in Public Health Education and Rehabilitation. Following college she took a job with a State Farm Insurance Agency here in Traverse City where she met her husband Nick. 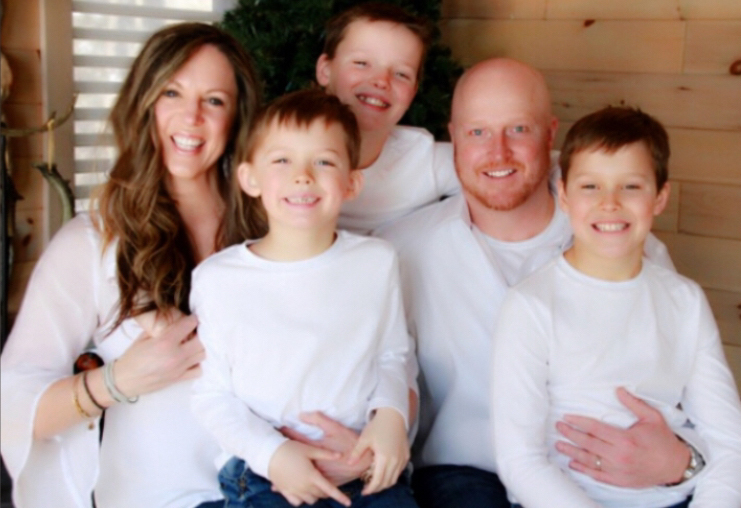 She was in Pharmaceutical Sales until she transitioned into a stay-at-home mom to raise their sons Gavin, Grayden, and Gabriel. She is very involved in their education at TCAPS, participating in countless activities. Megan also serves on the board of directors at Mt. Holiday, a local non-profit organization where the kids participate in ski racing all winter. Family time is a priority for Megan and typically spent out on their boat in West Bay or cheering on her boys at the ski hill. She is an active member at Faith Reformed Church where you can find her serving on various activities ranging from serving a meal to the homeless, helping lead lady’s bible study, and planning for Vacation Bible School.